Bhindi or ladies finger raita recipe - This is a simple and easy raita recipe prepared to accompany the spicy main course and rice. Nothing can be a better cooler than chilled raitas when you have a spicy main course in your platter. 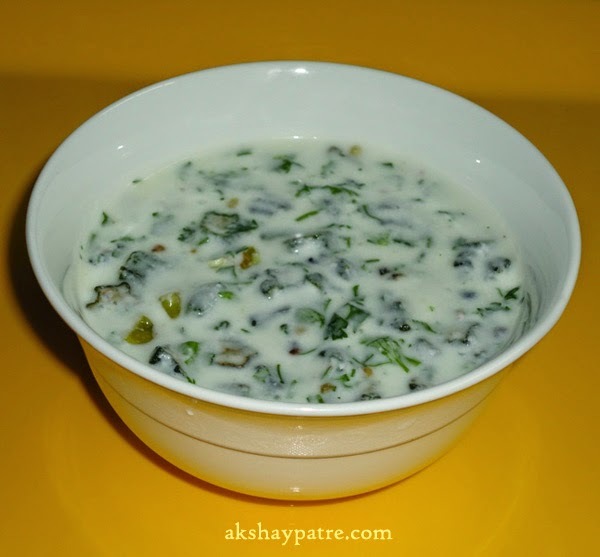 Like other raita, this raita is also made using strained yogurt. 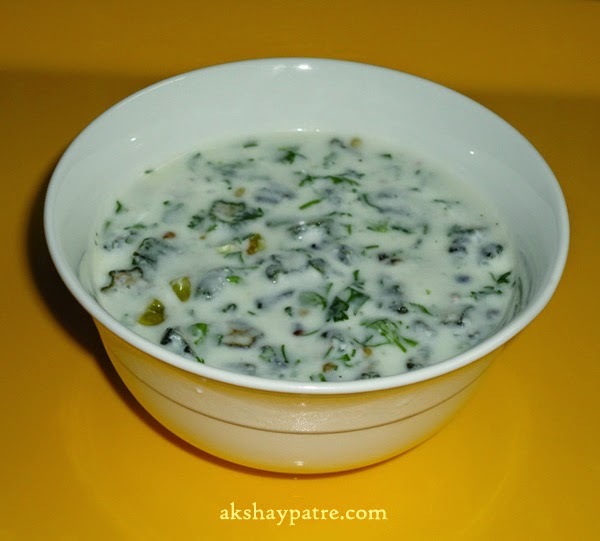 If you use the strained yogurt, the raita doesn't turn watery. Otherwise, you will miss those creamy yummy texture and great taste. I rarely make it since it needs deep fried ladies finger and I want to avoid deep frying as I don't like to add much oil in the diet. After frying, the ladies finger shrink and become very small. I served this bhindi raita as a side dish for rice and spicy curry. It was really delicious. Pour the chilled yogurt in a stainless steel soup strainer and keep it aside for 15 minutes. Deep fry the roundly chopped ladies finger till crisp and set aside. Transfer the strained thick curd to a large bowl. 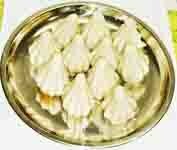 Add the sugar, fried bhindis, coriander leaves and salt. Make a tempering of mustard seeds and chopped green chillies. Pour it on the curd. Mix well and serve chilled. Mouthwatering raita...... Love to try out! !